[Update: comments are now closed.] 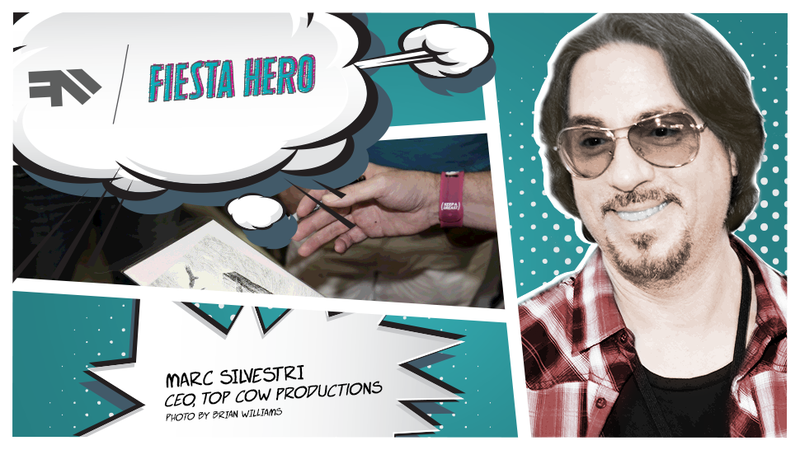 Marc Silvestri, the cofounder of Image Comics and CEO of Top Cow Productions, is a rock star in the comic book industry — there’s just no better way to say it. Today, thanks to the Fiesta Movement, he’s here to answer your questions about Cyber Force, Witchblade, The Darkness, and how he brings superheroes to life. Silvestri’s comic book career began at DC Comics before he moved to Marvel to draw Uncanny X-Men from 1987 to 1990. Silvestri then took on Wolverine for two years until deciding to jump ship and forge an alliance with six other creators to build a little venture called Image Comics. Cyber Force, the launch title for Silvestri’s new production house, Top Cow Productions, broke almost every sales record in the book. Top Cow’s notable successes include Witchblade and The Darkness, the latter of which has leapt off the page to spawn a franchise of video games (and might even make the jump to the silver screen). Despite his notable success in comic production, Silvestri is always eager to connect with fellow fans. He met with the Fiesta Agents during their trip to LA to chat about his experience in the industry. And now, Silvestri’s here to answer your questions about how he makes the superhero magic happen. So go ahead, jump in the comments below and ask him anything. Ford and the Fiesta Movement are celebrating their love of all things comics by connecting you with some of the greats in comics today. Wanna learn more? Keep up with the movement here. Ray Wert is the former editor-in-chief of Jalopnik and the founder of automotive advertising studio Tiny Toy Car. This post is a sponsored collaboration between Ford Motor Company and Studio@Gawker.